Last June, Twitter Co-founder Biz Stone announced that he was stepping back from Twitter to again team up with co-founder Evan Williams and early employee Jason Goldman to re-start The Obvious Corporation — an idea incubator — the one that initially helped give life to Twitter. A few months later, The Obvious Corp announced that its first incubation project would be Lift, an app development startup founded by Tony Stubblebine and Jon Crosby. Today, the Obvious team has unveiled its second project: A partnership with New York City-based Branch — the startup-formerly-known-as the group blogging platform RoundTable. 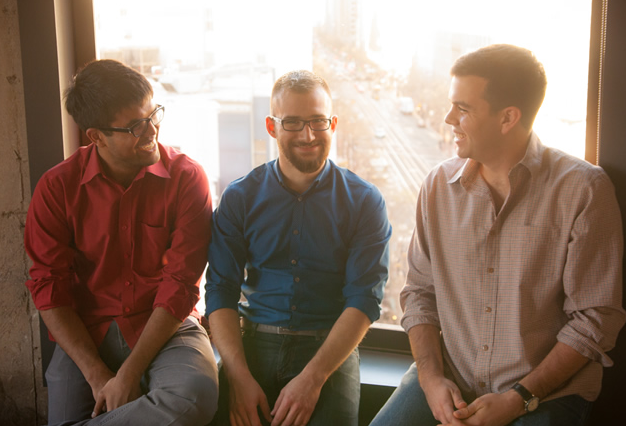 The bootstrapped startup was created by developers Josh Miller, Cemre Güngöre, and Hursh Agrawal. Although the details are a bit sketchy, in a “Branch Bulletin” today, Josh Miller described the team’s goal as a “mission to turn the Internet’s monologues into dialogues,” initially building its prototype on top of Twitter. While the address on the Form D is the same as that of The Obvious Corp., as BetaBeat points out, and the startup has been working out of Obvious’ offices in San Francisco, Miller said that the team will be moving back to New York to work out of the Betaworks office. Certainly, there are plenty of communities on the Web in which the free exchange of ideas and information are encouraged, and supported, but it looks like Branch will be working to bring the knowledge of experts to bear on the topics of the day, hopefully to increase the quality of the conversation and the degree to which an exchange of ideas can inform the public. Just how they will be structuring that conversation, identifying those experts, i.e. what types of filters they will use, remains unclear. But there’s certainly plenty of talent involved in the startup, and enough funding to produce a quality prototype, so it will definitely be interesting to see what the team produces. For more on Branch and to sign up, check ’em out here. They’re also on Twitter here.